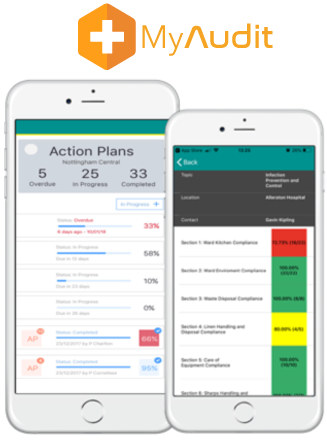 Dramatically simplify your healthcare audits & inspections, reduce the admin burden and save time (lots of it) – in one incredibly simple mobile app. 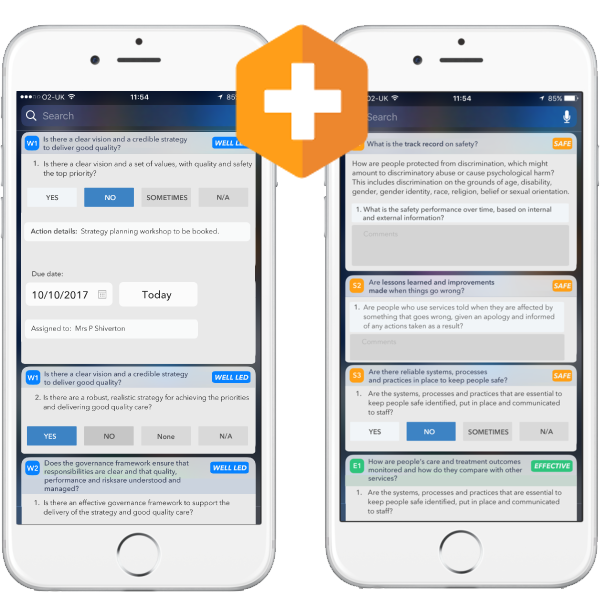 Help your patients manage their chronic conditions, deliver pre and post surgery questionnaires and remind them of appointments and much more in our ready to go app. 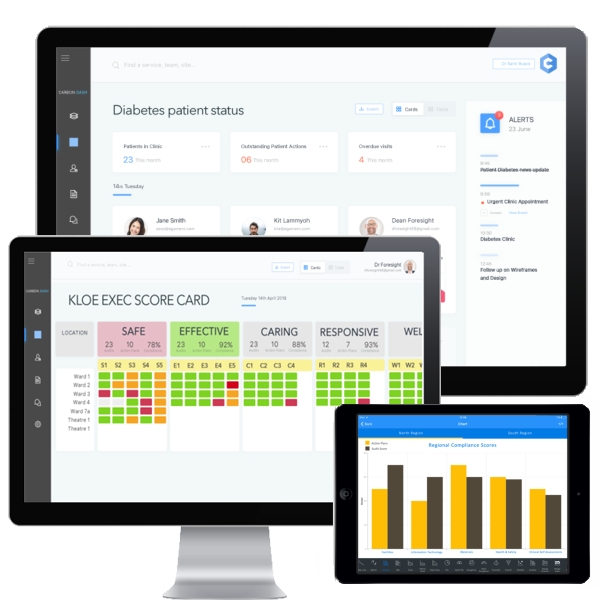 Easily view and track your clinical risks and service quality with intelligent dashboards and RAG-rated performance indicators – from your mobile, tablet or desktop PC. 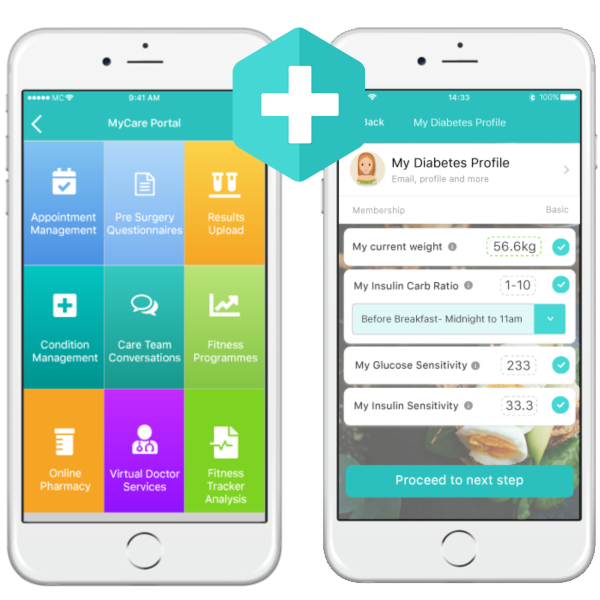 Designed specifically for healthcare professionals, the Carbon Labs suite of mobile software solves some of the biggest challenges faced by UK healthcare today - simply. 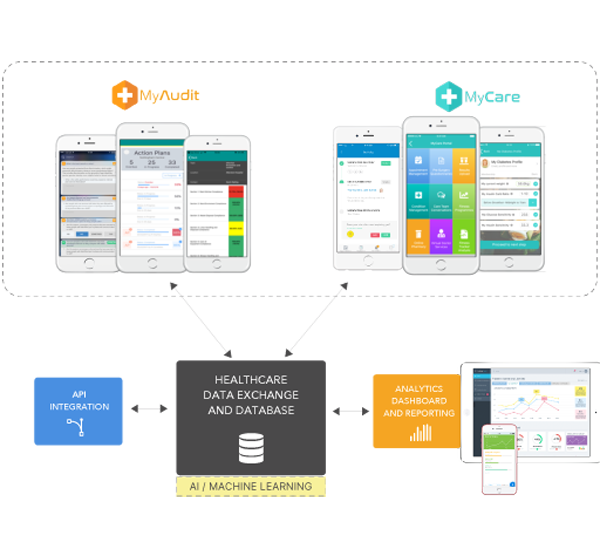 We recognise that it is smarter to take the smaller, highly impactful first steps to deliver the big efficiencies and savings healthcare technology can provide. 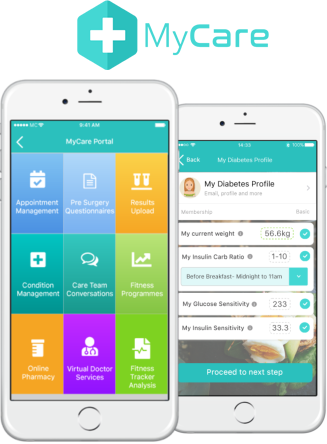 The Carbon Labs suite of healthcare technologies delivers highly impactful results - without cost and complexity - to harness the power of digital healthcare. Our customers love our applications and how easy they are to deploy, and quick to provide return on investment.